Do you have faith questions or know someone who does? Would you like a safe place to ask those questions and discuss openly in a small group? Alpha will be doing a summer session! Open House Kick-Off for more information will be Sunday, May 19 from 9:40 to 11:00 a.m. in the Outreach Building Conference Room. 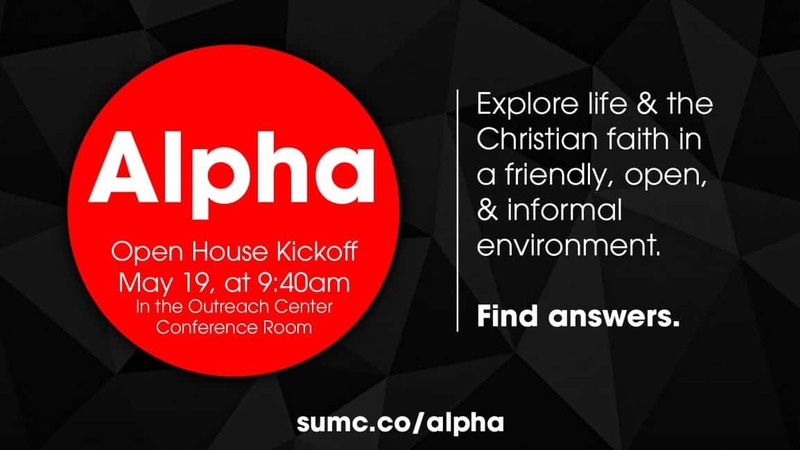 Alpha is a safe environment to bring your friends, family, and colleagues to explore the Christian faith, ask questions, and share points of view. Alpha emphasizes hospitality, faith, and discussion – making it easy to welcome EVERYONE. Join us at the information session to learn about Alpha and talk to those who have been through Alpha.